The Nissan Qashqai – also known as the Nissan Dualis in Japan and Australia – has been in continuous production since its introduction back in 2006. 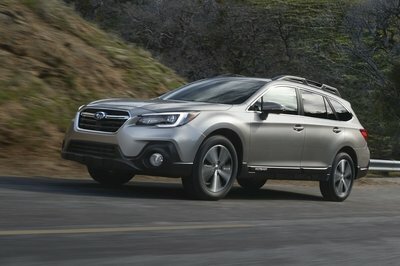 The second generation of the vehicle was introduced in 2013 with a new, sleeker look, redesigned interior and a range of gasoline and diesel engines that range in output from 108 horsepower up to about 161 horsepower, depending on market and model. By July of 2015, the 500,000th Qashqai rolled off the production line in the U.K. which, according to Nissan, broke the record for the fastest time a U.K.-built vehicle has hit the half-million mark. The Qashqai is available in a number of trim levels, but the second-gen model has never had a special edition – at least not until now, that is. 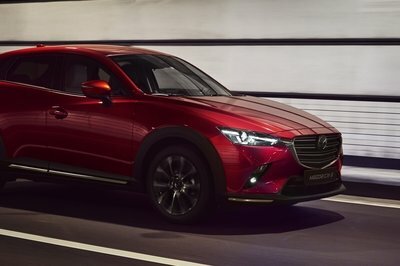 Dubbed the Black Edition, the special-edition model is being called a new flagship by Nissan, despite the fact that it will be a limited production model. 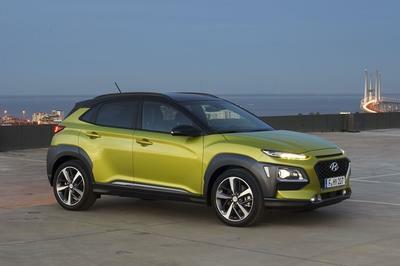 It is based on the current range-topping Tekna trim level with a number of extra enhancements that represents a $1,200 savings, according to Nissan. With that said, let’s take a look at this new special edition model and see what all the hype is about. Continue reading to learn more about the Nissan Qashqai Black Edition SV. In the last year or two, automakers have fallen in love with the whole “black” or “dark” theme for special edition vehicles and, as the name of this one suggests, it takes on that them as well. It used to be cool to murder out a car, but manufacturers are starting to take that away. This model, for instance, starts off with Pearl Black Metallic paint, along with trim inserts in the front and rear in the same color. And, to further enhance that dark ambiance of the ride, Nissan threw on a set of 19-inch Black Ibiscus alloy wheels. In fact, the only parts of the car that aren’t black are the exterior light units, window trim, and skid plate inserts in the front and rear. Don’t get me wrong; the Qashqai looks good this way, but the style itself is starting to get a little old. On the inside, the biggest point of interest is probably the panoramic roof with a one-touch shade. This is typically a $516 option on the Tekna trim but comes standard on the Black Edition. There are also door entry guards that sport the “Black Edition” label and full black leather upholstery to further darken the mood. The center stack is graced with a NissanConnect infotainment system with a seven-inch display that offers DAB digital radio and satellite navigation, among other things. 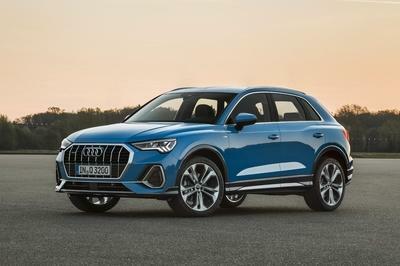 The special-edition crossover is offered with just one engine: a 1.5-liter dCi 110 four-cylinder that delivers 108 horsepower. Front-wheel drive is standard, as is the six-speed manual, but that’s okay considering the 70.6 mpg combined fuel economy rating on the Euro scale. Of course, performance specs for a model like this are rather scant but expect the 62-mph sprint to take somewhere in the neighborhood of 10 seconds with a top speed around 110 mph. On the safety side of things, the Black Edition includes Nissan’s Safety Shield – a system that includes lane departure warning, high beam assist, traffic sign recognition, forward emergency braking, blind spot warning, driver attention alert, and moving object detection. There is also intelligent park assist, bi-LED headlights, and Nissan’s 360-degree Around View Monitor as standard equipment. Needless to say, the Qashqai Black Edition is pretty well equipped, but at what price? 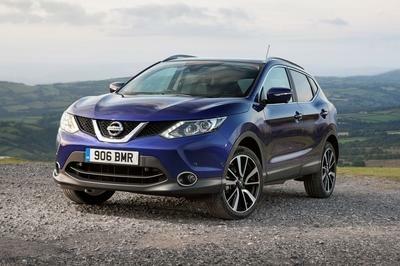 Read our full review on the Nissan Qashqai here. 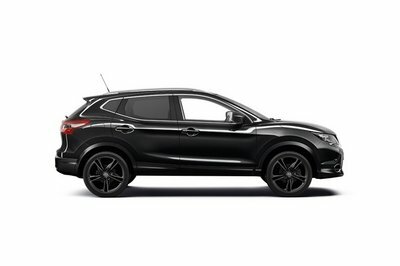 Nissan is pleased to introduce the stylish new ‘Black Edition’ to the Qashqai line-up. 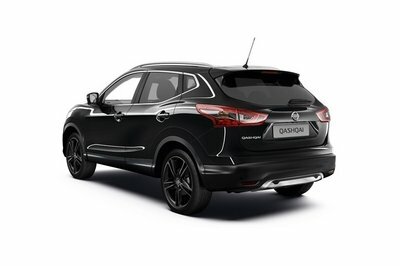 A new flagship specification for the range, the Black Edition is the first Special Version of Qashqai available since the model was launched in 2013. Offered in a limited production run, the Black Edition is on sale now and priced from £27,310 OTR. Based on the generously equipped Tekna grade, Black Edition enhancements include 19” Black Ibiscus alloy wheels, Pearl Black metallic paint, front and rear styling plates and ‘Black Edition’ badged door entry guards. The model also gains the sleek Panoramic Roof with one-touch shade, making it the only Qashqai with a glass roof as standard – typically a £400 option on Tekna models. Nissan’s suite of advanced safety and driver assist systems – collectively known as Nissan Safety Shield – are included on the car as standard. These include Lane Departure Warning, High Beam Assist, Traffic Sign Recognition, Forward Emergency Braking, Blind Spot Warning, Moving Object Detection and Driver Attention Alert. Additional specification includes full black leather upholstery, Intelligent Park Assist, bi-LED headlights and the state-of-the-art NissanConnect infotainment system. Based around an integrated seven-inch high-resolution touch-screen, it includes DAB digital radio and satellite navigation. Nissan’s pioneering 360º Around View Monitor – to help with low-speed manoeuvres – is also fitted as standard. The Qashqai Black Edition is powered by the frugal yet refined dCi 110 6-speed manual 2WD, which delivers 70.6mpg combined fuel economy and CO2 emissions of just 103g/km. The multi-award-winning Qashqai’s impressive quality, styling and innovative technologies continue to make it the best-selling crossover in Europe. Since production began in 2013, a new Qashqai has been built every 62 seconds, or 58 per hour, at the plant in Sunderland, UK. 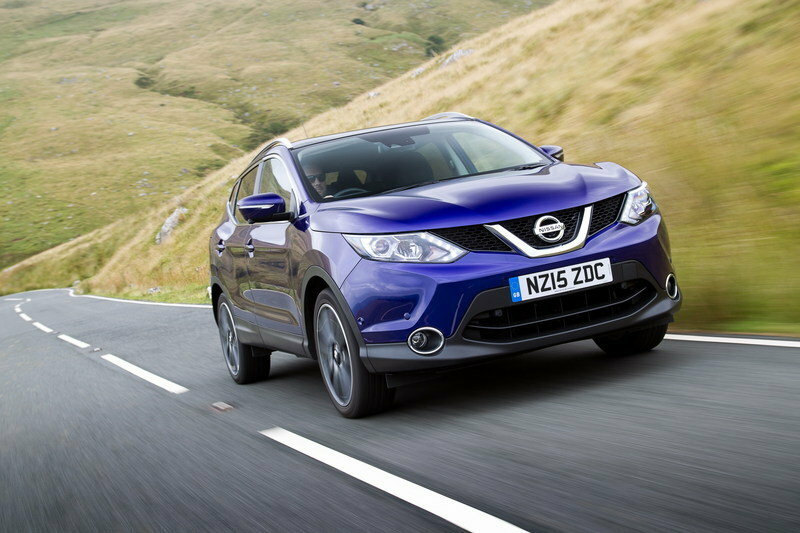 In September 2015 the Nissan Qashqai became the fastest ever UK-built vehicle to smash the half million production mark.